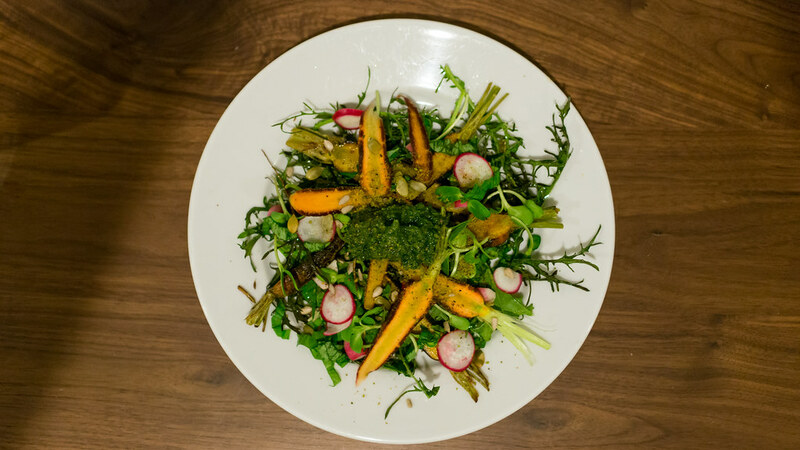 Carrots with carrot green pesto, mustard greens and purslane. I love these rainbow carrots, which I used a few different ways. Some were rubbed with spices and olive oil and roasted, others just thinly slivered, and the greens went into a pesto (with macadamia nuts, basil and manchego cheese, if memory serves). 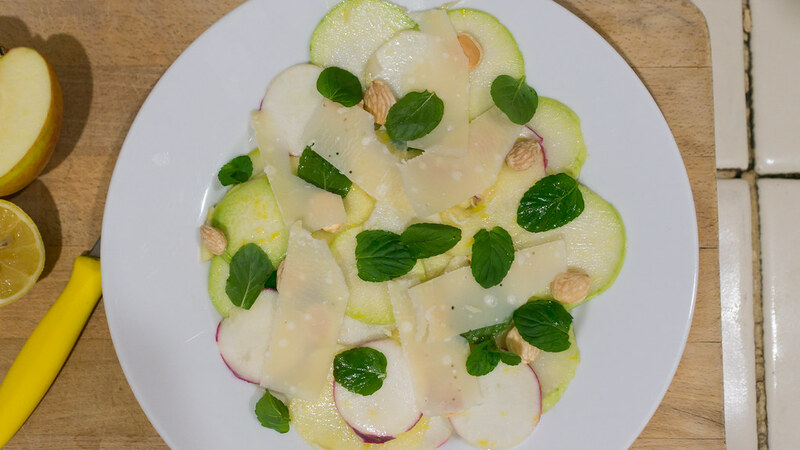 Some mustard greens, purslane, basil and slivered radishes, lightly dressed in olive oil, rounded out the plate, plus some pumpkin and sunflower seeds for some crunch. 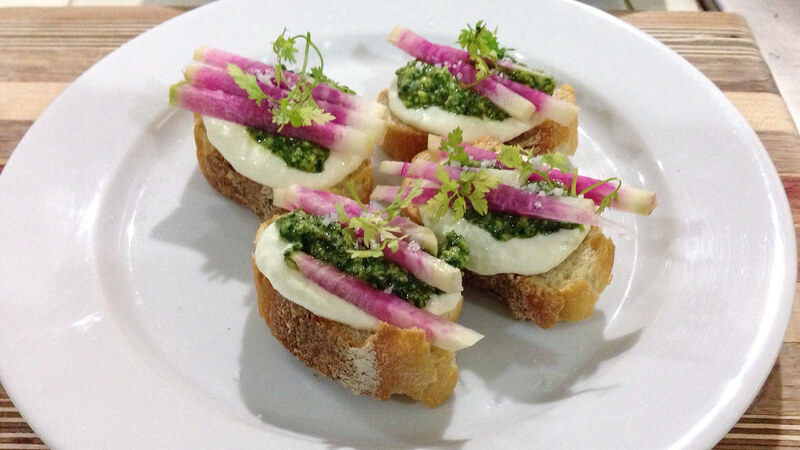 Crostini with julienned watermelon radishes, radish green pesto, home-made ricotta and chervil. I can't recall if I used the Michael's Genuine Food ricotta recipe or the one from Ideas in Food's Maximum Flavor cookbook. The pesto was improvised with some combination of blanched radish greens, herbs, pine nuts, and olive oil. 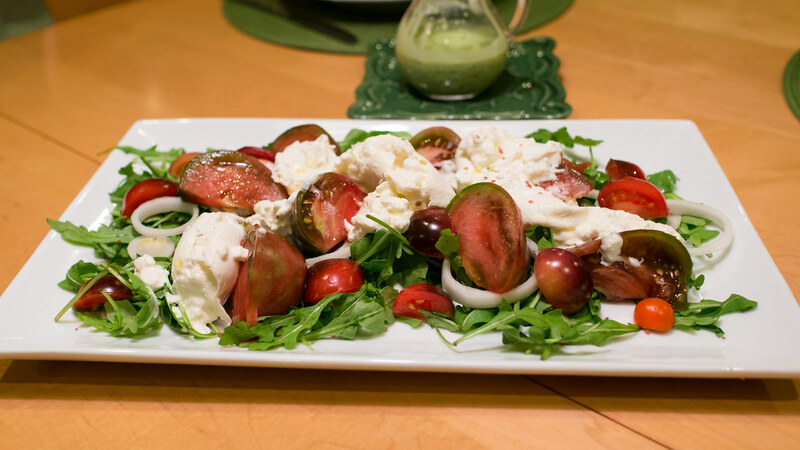 Aside from the gorgeous color, those watermelon radishes have a good peppery kick that was a nice contrast to the creamy ricotta. Muriel has started doing the Saturday pick-ups at the Upper East Side Farmers' Market on Biscayne Boulevard and 64th Street, and usually has several other items for sale in addition to the CSA shares, plus fresh eggs and bread from Zak the Baker. So even if you're not a CSA subscriber you can still get your veg on. It is not a coincidence that I have two Bon Appétit references here. I ignored this magazine for years, seeing it as a fuddy-duddy publication geared to Middle America housewives. But I recently got a subscription and have found it to be a great read, nice to look at, and a useful tool. 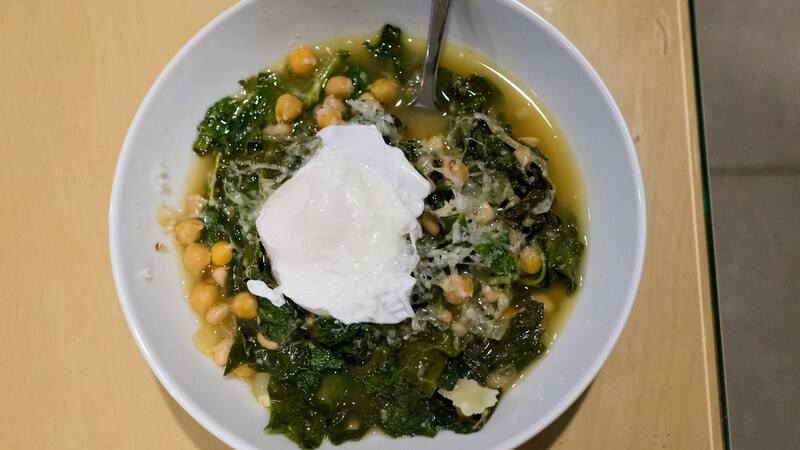 This past month had pieces by a couple of my favorite food writers - Adam Sachs and Pete Meehan - a half-dozen recipes from Ignacio Mattos, and a bunch of other good stuff. Instead of "Put a Bird on It," the dinnertime motto in our house is usually "Put an Egg on It."